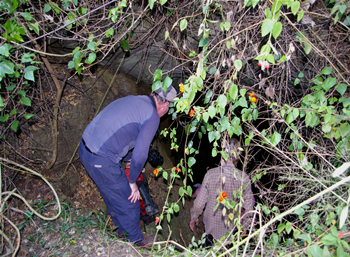 Caving and Pot Holing in Sri Lanka is not a famus activity. But it has large number of caves which unexplored and unmapped. 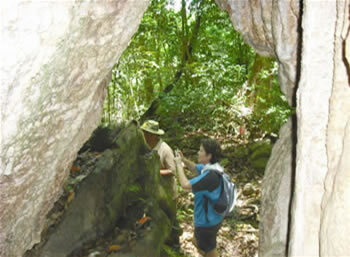 Caves here can be categories as rock shelters and limestone caves with pot holes. 1st century B.C. there was a king called Walagambahu. He converted many rock shelters to Buddhist temples. 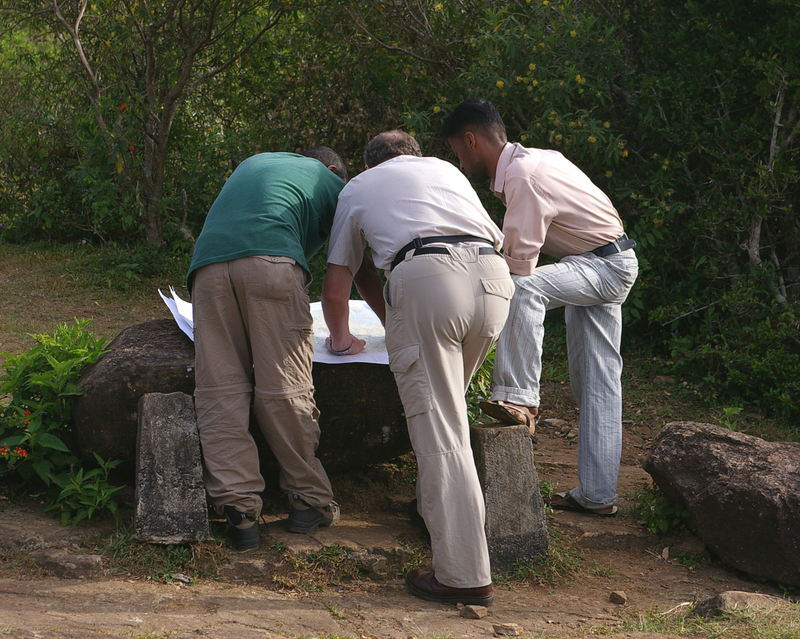 For example, Dambulla, Degaldoruwa, Aluwihara cave temples. According to legends he also constructed a tunnel network covering his war strategic points. There are no much limestone deposits in the country other than in the north. But in the central highland and around plain has some limestone caves with stalagmite and stalactite creations. The most popular limestone created caves in are at Wawulpane in Rathnapura with a waterfall inside, Nitro cave Meemure in Kandy, Istripura caves in Walimada. 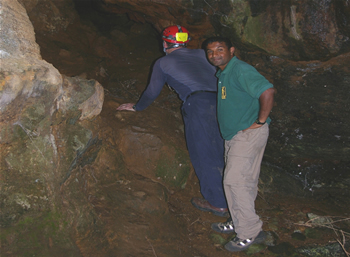 The Andiri Lena cave at Balangoda is a gneiss rock cave. But value to visit it with a small entrance, very large inside and some creations as well. A few caves are connected to the legends of Rawana the demon king who ruled the country 5000 years ago for example, Sita Kotuwa, Istripura, Rawana Ella caves. Sita Kotuwa cave in Hasalake at Gurulupota River is still creating with a water fall. Those creations were made out by limestone sediments by water from the river. The caves at Nalanda in Matale are very attractive in the forest near the reservoir. It is a large limestone cave with a small pond and a pot hole to go inside. 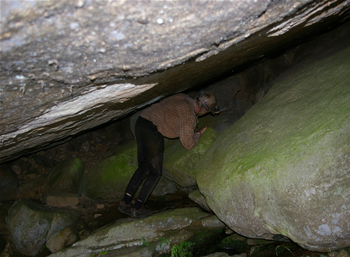 The caves at Akiriya in Hanguranketa are also interesting to note with three separate caves. The main one is with a stream inside. The stories about Istripura caves are very exciting. Because there is three or more places with same name. The meaning Istripura is city of ladies. It is said that caves were once a harem of one of the king. There are three of them is in the county. One of them now submerge under the water when Victoria reservoir is constructed. That was the most interesting and longest cave in the island. Others are in Walimada and Hanguranketa. Walimada caves has three separate entrances. 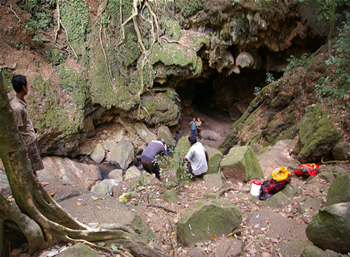 The cave fauna in Sri Lanka troglodytes bats, mice, snakes, geckos etc due to tropical climate. Main animal in caves are 30 different spices of bats. The blow hole at Kudawella is the world second highest in monsoon season which also a cave.